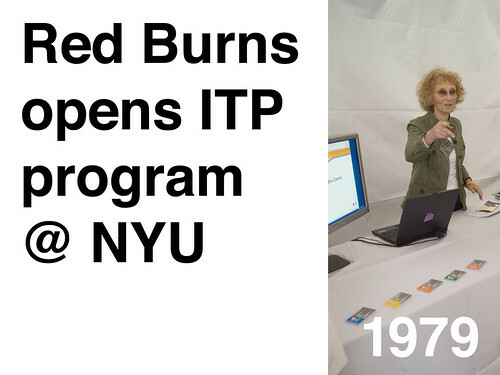 Back in 2008, when I gave my talk at Web 2.0 on the recent history of the NYC tech sector, I said that Red Burns was responsible for restarting the tech sector in NYC when she created ITP at NYU in the late 70s. The entire slide show for that talk is here. Many of you know this sad news already. Red passed away this past week. She was an incredible woman who left NYC with the gift of a resurgent tech sector and a community of passionate makers and entrepreneurs. It is her legacy as much as anyone's. Here are some links to the best posts I've seen on Red this week.